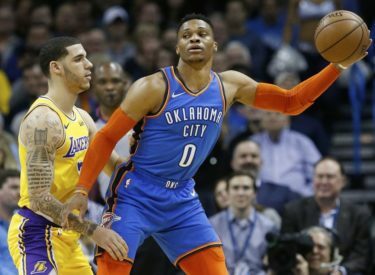 OKLAHOMA CITY (AP) – Kyle Kuzma scored 32 points to help the Los Angeles Lakers beat the Oklahoma City Thunder 138-128 in overtime without injured LeBron James. The four-time MVP missed his 12th straight game with a left groin strain, but the Lakers pulled off a solid road win. Ivica Zubac scored a career-high 26 points and Lonzo Ball added 18 for the Lakers, who improved to 5-7 without their star.